Have you ever struggled with the communication of climate change uncertainties? Are you frustrated by climate sceptics using uncertainty – inherent in any area of complex science – as a justification for delaying policy responses? 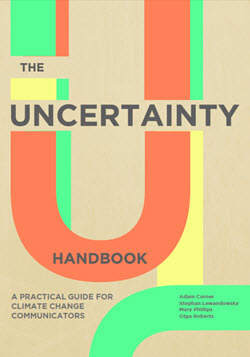 Then the new ‘Uncertainty Handbook’ – a collaboration between the University of Bristol and Climate Outreach (former COIN) – is for you. 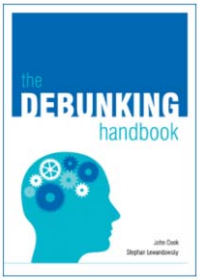 The Handbook distills the most important research findings and expert advice on communicating uncertainty into a few pages of practical, easy-to-apply techniques, providing scientists, policymakers and campaigners with the tools they need to communicate more effectively around climate change. 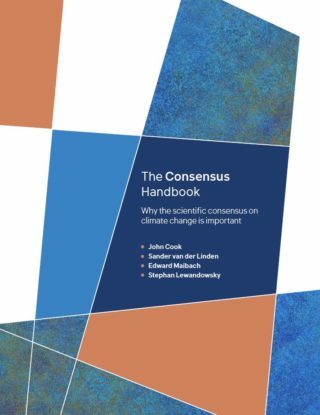 Download the report here, and check out our 12 principles for more effectively communicating climate change uncertainty here. The Uncertainty Handbook was authored by Dr. Adam Corner (Climate Outreach), Professor Stephan Lewandowsky (University of Bristol), Dr Mary Phillips (University of Bristol) and Olga Roberts (Climate Outreach). All are experts in their fields and have expertise relating to the role of uncertainty in climate change or how best to communicate it.